I am contacting you in regards to an issue I perceive to be serious that involves a court file that appears to have entirely vanished from the State website. 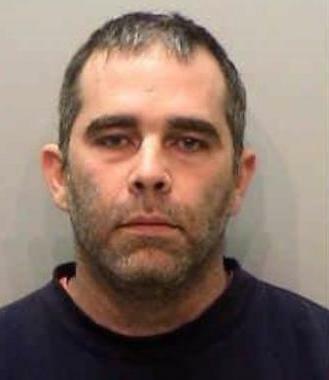 There is no court file number for the case against George Robert Lyons. He was charged with 1st and 2nd degree sexual assault charges against a minor in January, 2016. 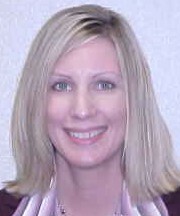 The case was widely reported upon in the Grand Forks Herald and Valley News. Media reports make reference to court documents and court records. Yet, now there is no record at all. 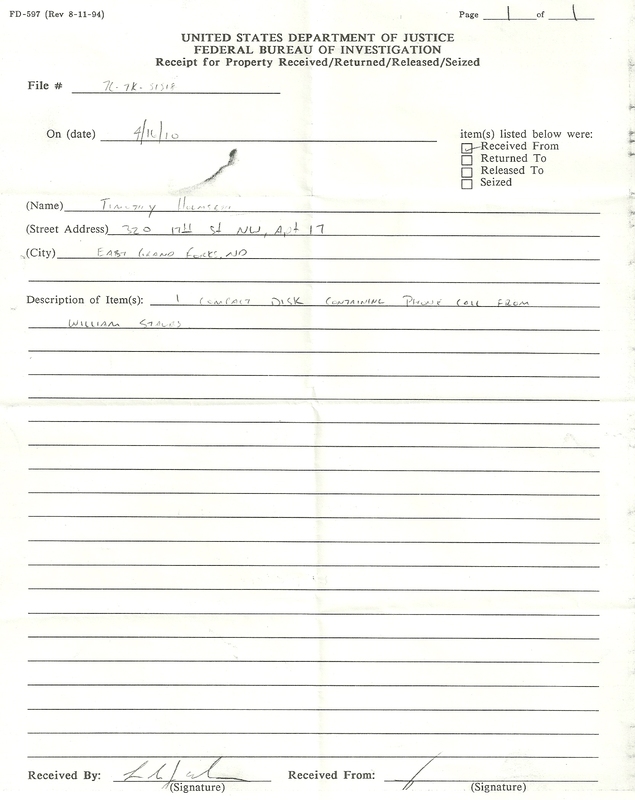 I have contacted Polk County Court Administrator Kathy Narlock twice regarding this matter and she will not respond. I am requesting the Court rectify this matter in every single way. The American public has been lied to about who fired the shot that killed Fargo Police Officer Jason Moszer. Officer Jason Moszer was shot and killed in the line of duty on February 10, 2016 after responding to a Fargo, North Dakota residence where a domestic incident had intensified, firearms became involved and a stand-off ensued. Officer Moszer responded to 308 9th Avenue North along with other local police officers from agencies including the Red River Valley SWAT Team, Cass County Sheriff’s Department and North Dakota Highway Patrol. 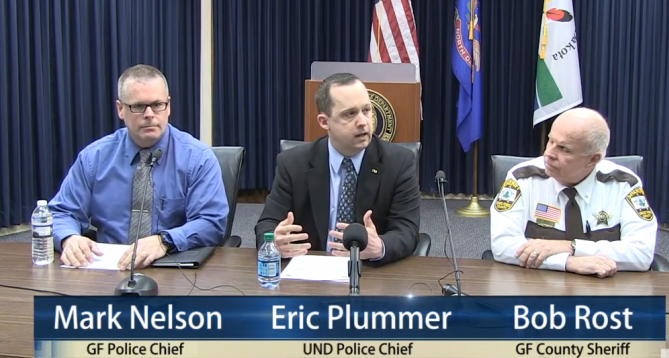 The WDAY-TV news clip that I am going to show you, will demonstrate that Forum Communications in conjunction with ABC, broadcast that Marcus Schumacher – the man that stood off against police in his home – is the person that shot and killed Officer Jason Moszer. 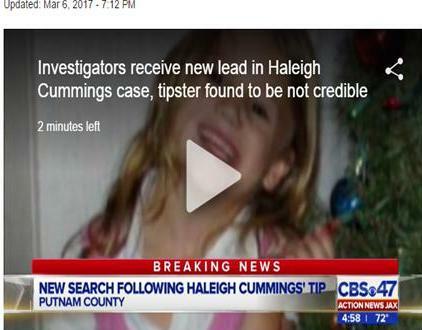 The clip is relatively short – following the clip I will tell you what’s really going on. While you observed the WDAY news presenter, at the introduction of the segment, categorically state Marcus Schumacher shot and killed Officer Jason Moszer, you will note that Cass County State’s Attorney Birch Burdick, who sat down with WDAY for a very formal interview regarding the case, never stated, on behalf of the State, that Marcus Schumacher shot and killed Officer Jason Moszer. 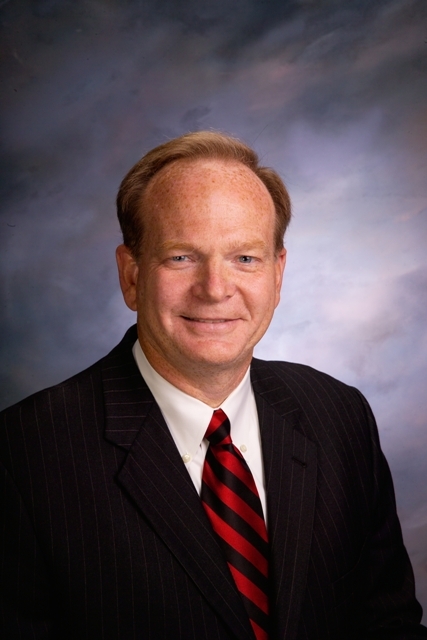 However – Attorney Burdick cryptically telegraphed the truth about what happened when he said, “Schumacher was putting a lot of people at risk. He fired a lot”. 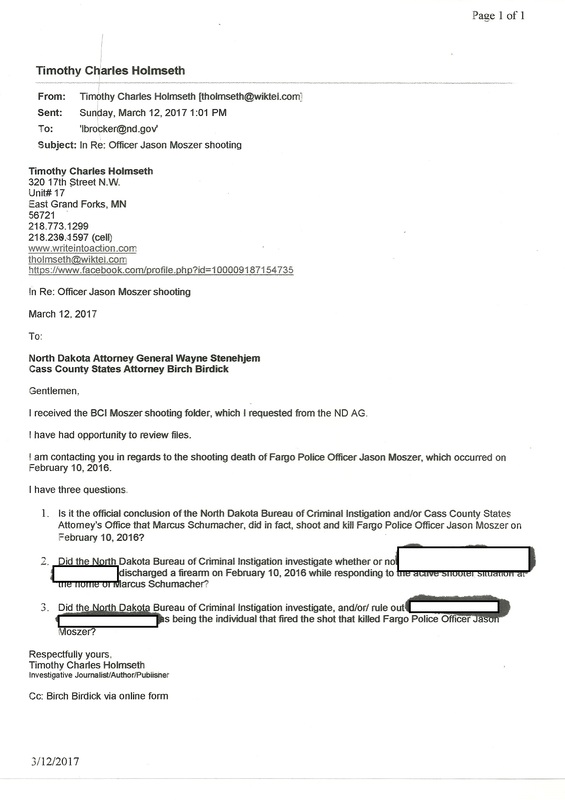 Based upon tips from the public, Write Into Action has initiated an independent journalistic investigation into the Moszer/Schumacher shooting, which includes the entire investigation file of the North Dakota Bureau of Criminal Investigation. 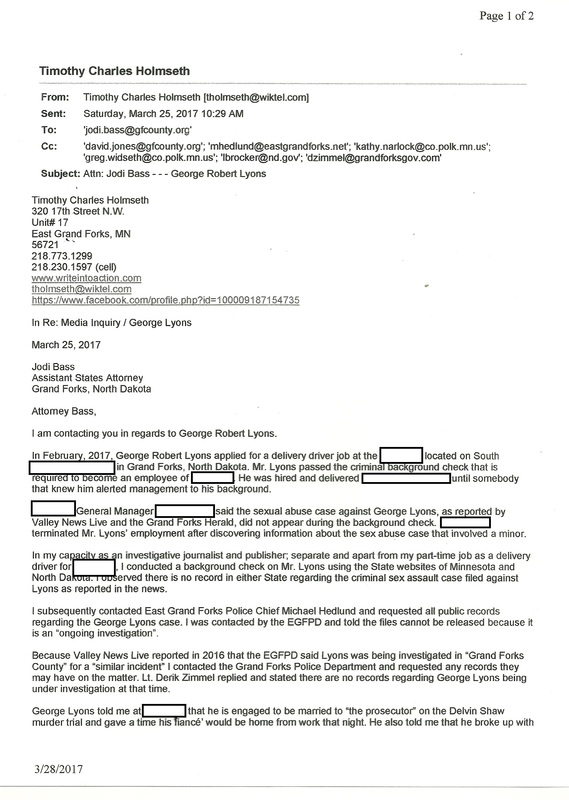 Write Into Action reached out to Attorney Burdick and asked the State Prosecutor if he stood by the statement made by WDAY and himself during their coordinated news story. 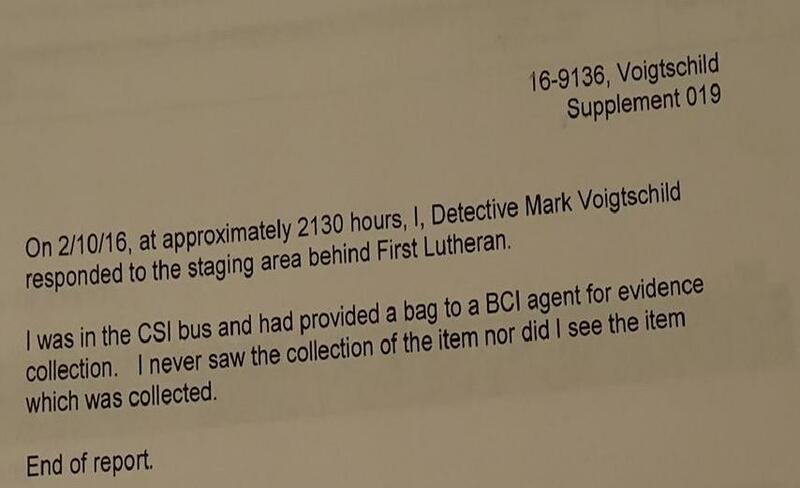 It was important Attorney Burdick be asked the question because the WDAY news story accused Marcus Schumacher of murder. 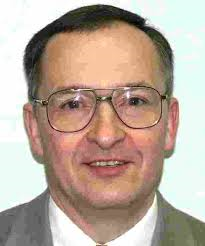 Attorney Burdick responded to say that he felt my questions were primarily directed to the North Dakota Bureau of Criminal Investigation. 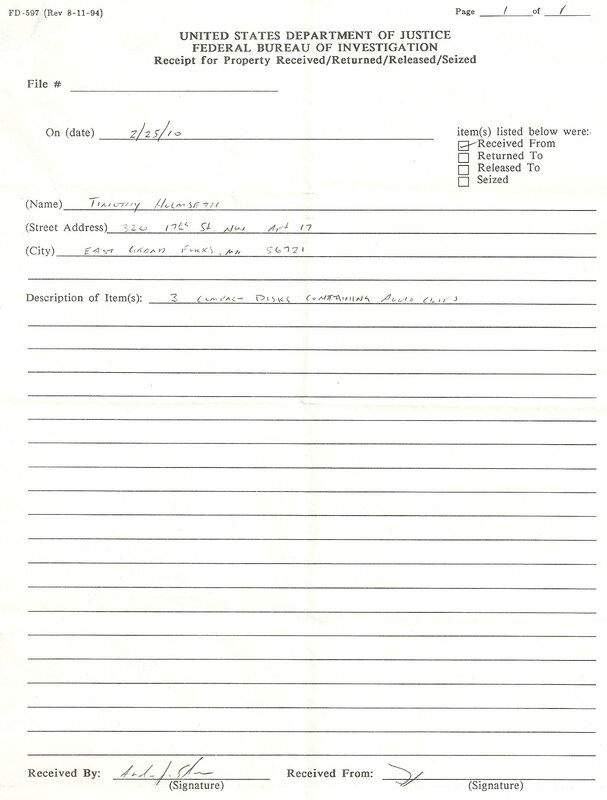 I advised Attorney Burdick that I am aware all final decisions in criminal cases are made by the State’s Attorney, and that according to BCI Special Agent Michael Ness, the BCI processes the scene and conducts interviews but provides no opinion regarding the facts and has no influence over prosecutorial decisions. Attorney Burdick, now, will not state whether or not he stands by the assertion that Marcus Schumacher. That’s because Marcus Schumacher did not commit murder. The news story reported that all the details of the night had not yet been released. And that’s going to change. Write Into Action is preparing the evidence of what happened and will be presenting it to the public once it’s prepared. 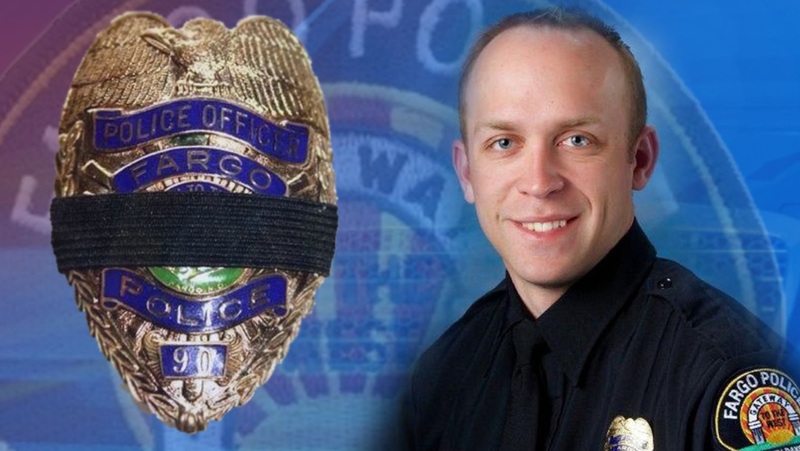 Fargo Police Officer Jason Moszer killed by friendly fire? 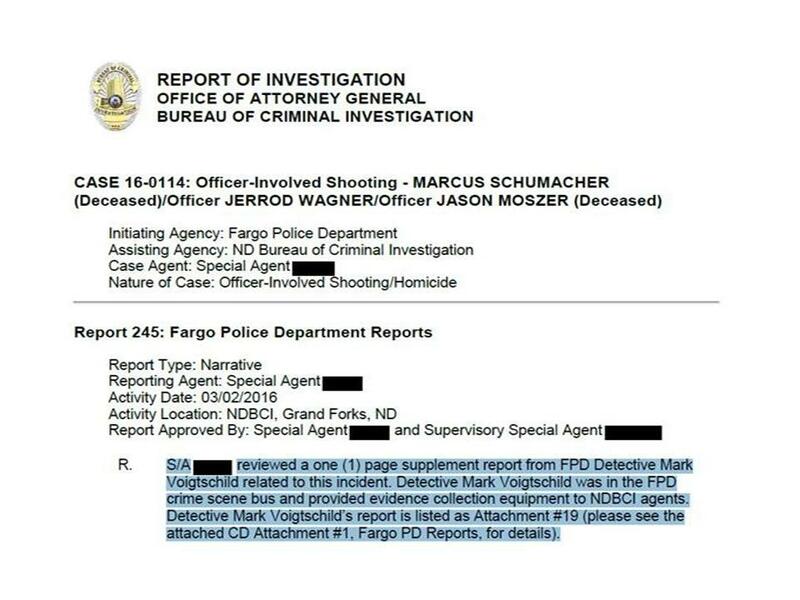 Write Into Action is investigating tips and information that indicates Fargo Police Officer Jason Moszer was not shot and killed by Marcus Schumacher on February 10, 2016. 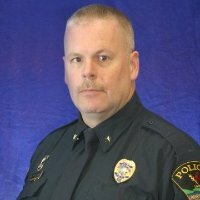 Evidence suggests Officer Moszer was accidently shot by a police officer. 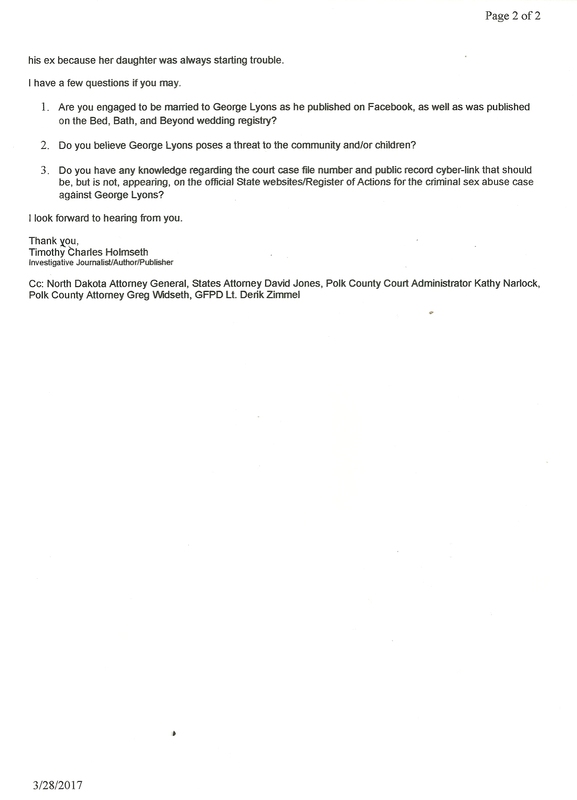 Write Into Action has issued an inquiry comprised of three questions to the Office of North Dakota Attorney General Wayne Stenehjem and Cass County States Attorney Birch Birdick.